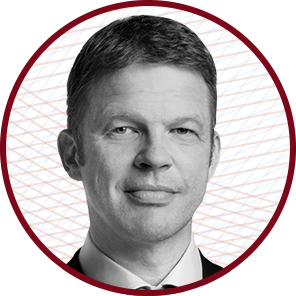 Member of the Presidency of the Bundesverband deutscher Banken e. V.
Prior to which he held a number of management positions in Risk. From 2012 to 2013, he was Deputy Chief Risk Officer. From 2010 to 2012, he served as the Bank’s Chief Credit Officer. He has worked in Frankfurt, London, Singapore, Tokyo and Toronto. From 2005 until 2007, Christian Sewing was a member of the Management Board of Deutsche Genossenschafts-Hypothekenbank.